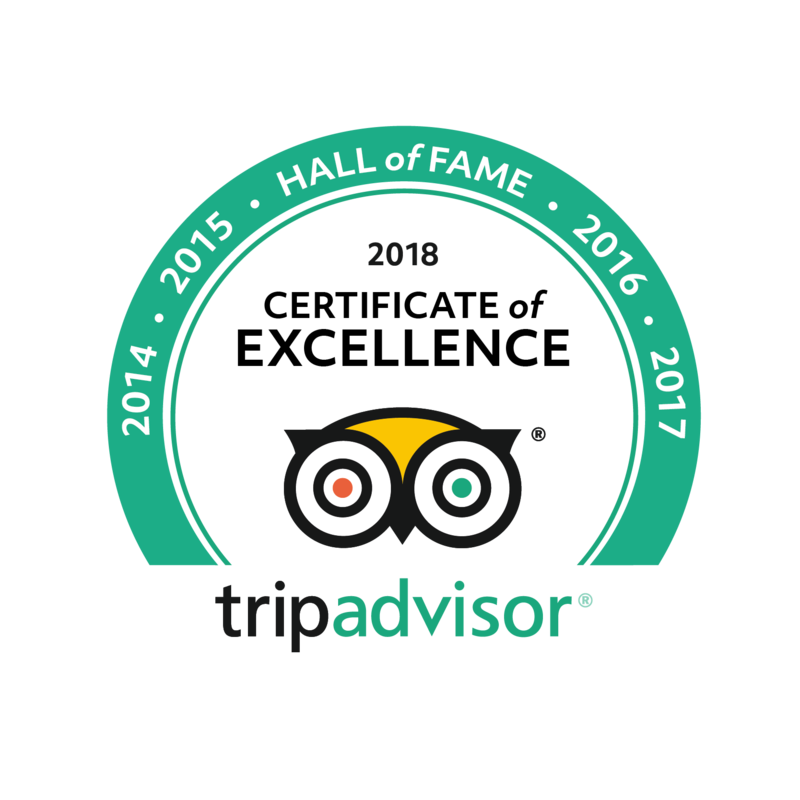 Upon your arrival in Rome’s Airport you’ll be met by our representative for your private car transfer to your centrally located hotel you have booked in Rome, where you will stay for three-nights following this sample itinerary. At 8.45 am, join our Small Group Walking Tour of Ancient Rome. 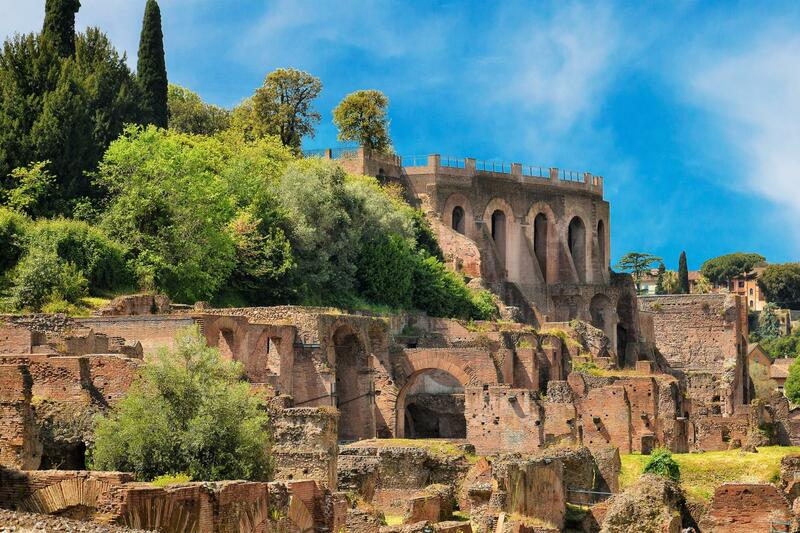 One of our expert guides will lead you on a fascinating stroll through the ruins of the Ancient Roman Forum, Palatine Hill & the Colosseum where you’ll skip the long lines to enjoy a full tour of the interior of Rome’s most famous landmark. At 1.00 pm, take our Small Group Tour of the Vatican with one of our expert guides lasting four-hours and including tickets and reservations so you can avoid standing in line to see the Sistine Chapel & St. Peters Basilica as well as other must-see sights of the Vatican. *Please note: Depending on your travel dates you may have to take both the Vatican & Ancient Rome Walking Tours on the same day. At Naples Railway Station take a private car transfer to your hotel you have booked on the Amalfi Coast. The price of this package is based on private transfers from Naples to Sorrento, but if you plan to stay on Capri, or in Naples or Positano we can quote special rates to include transfers. Rest of the day at your leisure. 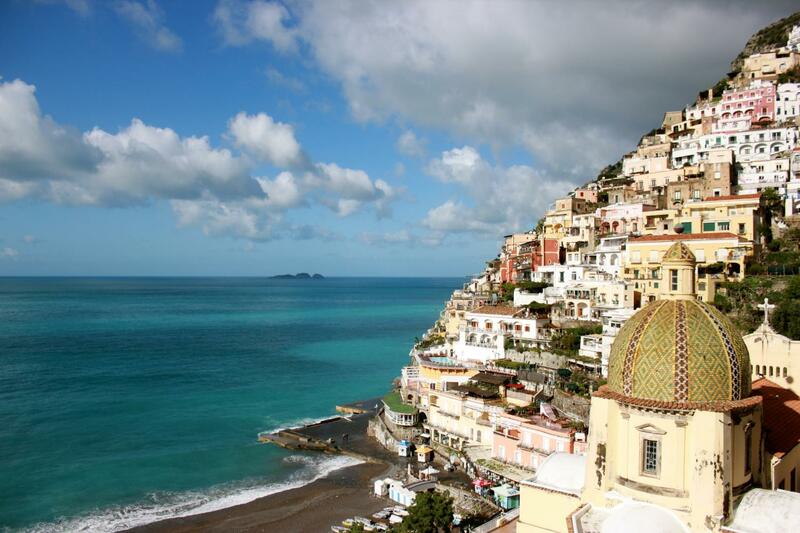 Take a private car transfer from Sorrento to Naples Railway Station to travel by train from Naples to Florence. Travelling in First-class reserved seats on a hi-speed Euro-star train departing Naples at 10.00 am arriving in Florence at 12.51 pm (or the nearest time available). 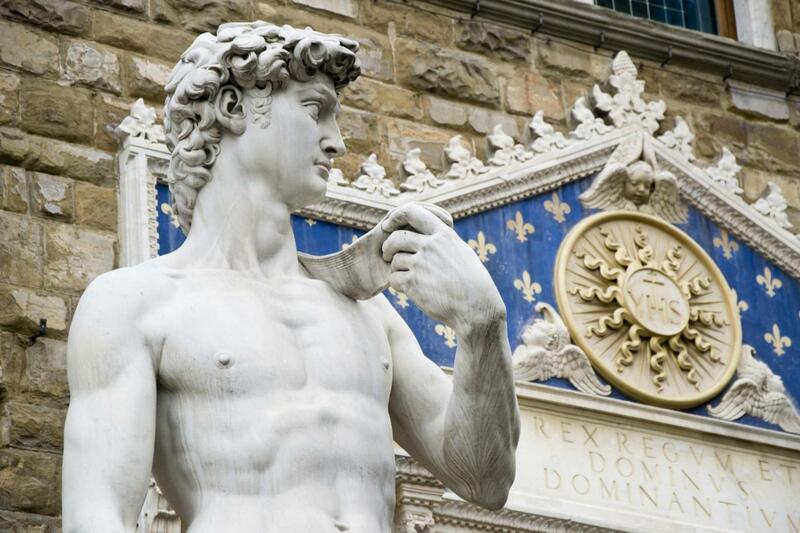 Upon arrival in Florence you’ll be met by our representative for your private car transfer to the centrally located Hotel you have booked in Florence. Rest of the Day at your leisure. Depart from your accommodation on the Cinque Terre on a private car transfer travelling in air-conditioned Mercedes (or similar make) vehicle with an English-speaking driver to Florence's railway station. Train tickets to travel on reserved seats on a Hi-Speed Train, departing Florence at 11.35 am, arriving in Venice at 13.35 pm (other times available). Upon arrival in Venice you'll be met by our representative for a Private water-taxi transfer to your centrally located Hotel you have booked in Venice. At 5 pm, join our small group boat tour of the Grand Canal. 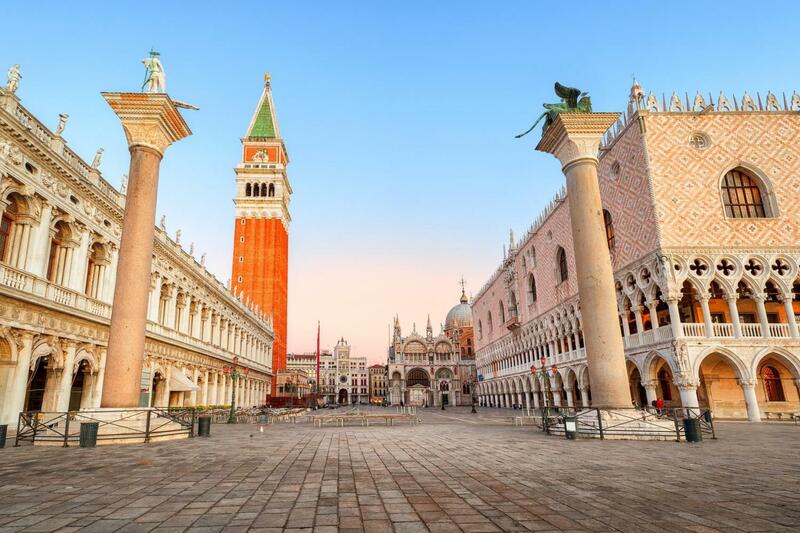 At 11.10 am, join our join our popular two-hour Original Venice Walking Tour with skip the line ticket for St. Marks Basilica. And to conclude your activities on this vacation package at 3 pm, enjoy our small group 35-minute Gondola ride in a traditional Venetian Gondola.